The smoking revolution takes a giant leap forward this week as E-Lites launch the most advanced electronic cigarettes ever developed. The latest range of E-Lites represent the next generation of electronic cigarettes. They feature unique micro-technology to give smokers the most realistic, simple and reliable alternative to conventional cigarettes, but with the advantages of being significantly healthier, much less expensive and unrestricted for use in most public places. 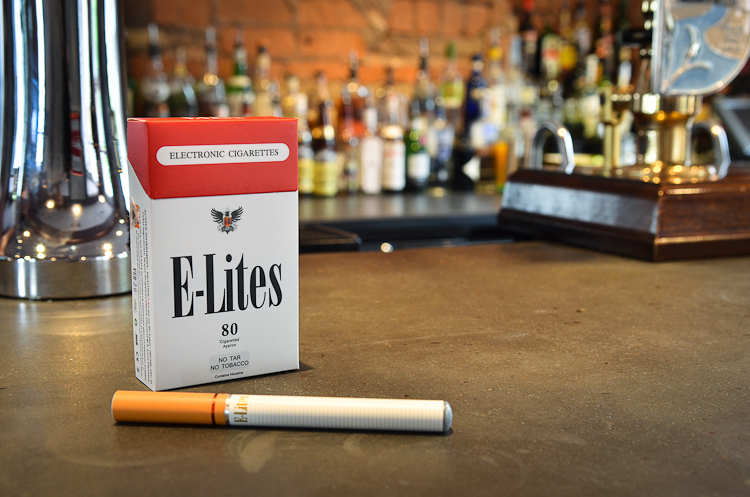 E-Lites, set up in 2007, is now the UK’s leading electronic cigarette brand with a number of celebrity fans, but the company’s latest G9 range is the most satisfying, easy-to-use and durable yet. Breakthrough technology has given E-Lites unsurpassed longevity, with rechargeable starter kits (£39.99) that provide the equivalent of around 200 cigarettes and E-Tips refills that have a lifespan far beyond any others on the market. There’s also the option of single disposables (£9.99) that provide the equivalent of around 40 cigarettes. The battery life of E-Lites is the longest of any other e-cigarette, and the E200 model comes in a toughened plastic case with a built-in USB connection for easy recharging. New features include diamond core components at the heart of every product, which enable them to withstand the harshest drops and bumps. Even the user experience has been enhanced to unprecedented levels, with signature tobacco flavourings specially formulated for UK tastes and an internal micro-switch that delivers the most precise and consistent delivery of nicotine vapour with each inhalation. Available in Standard, Light and Menthol variations, E-Lites contain pharmaceutical-grade nicotine, combined with purified water and flavourings. This solution is converted into a vapour upon inhaling, which gives users the familiar feeling of smoking, but without the most harmful ingredients of cigarettes, such as tobacco, tar, carcinogens and added chemicals. At a recent ‘Tobacco Amnesty’ in London to mark World No Tobacco Day, TV’s Dr Hilary Jones acknowledged that E-Lites were “a healthier option” for smokers who could not quit completely and preferred a product that is used like a cigarette, rather than nicotine patches or gum. E-Lites produce an odour-free vapour, rather than smoke, and are unrestricted, which means they can be used almost anywhere. The cost-savings are also significant. It is estimated that a typical 20-a-day smoker could save around £162 per month by switching from conventional cigarettes to E-Lites. E-Lites Director Adrian Everett said: “We’re immensely proud to be unveiling not only the best electronic cigarettes we have ever created, but we believe the best ever developed anywhere. Over the past four years, the E-Lites brand has become synonymous with superior electronic cigarettes, not just in the UK but also overseas, where we are experiencing considerable demand. However, we are never content to rest on our laurels and this latest G9 range is the result of significant investment in research and development to produce the most distinguished electronic cigarette out there. please contact Friday’s PR as below. E-Lites (www.e-lites.co.uk) was established in the UK in 2007 and is already a leader in its field, producing some of the most advanced electronic cigarettes on the market. The company is expanding nationally and internationally as demand grows for its innovative products. Its latest range of G9 range of E-Lites includes a disposable device that provides the equivalent of 40 cigarettes and is priced at £9.99. Rechargeable options include the hard-cased E200 starter kit, which provides the equivalent of around 200 cigarettes and is priced £39.99. Customers can then order E-Tip refills from the website, which are priced £7.99 for the equivalent of approximately 80 cigarettes. E-Lites’ revolutionary products are the result of extensive UK research and development. The evolution of E-Lites has been supported by significant investment in design and testing to ensure its electronic smoking devices are made to the highest standards and deliver the most authentic and luxurious smoking sensation possible. The company’s manufacturing facility uses the latest state of the art micro-electronic technology, ensuring E-Lites set the standard within the electronic smoking industry. E-Lites are globally patented, internationally trademarked, and are backed by an international parts replacement guarantee. This press release was distributed by ResponseSource Press Release Wire on behalf of Friday's Media Group in the following categories: Men's Interest, Health, Women's Interest & Beauty, Consumer Technology, Retail & Fashion, for more information visit https://pressreleasewire.responsesource.com/about.